Don’t use overused words and clichés. Of course, writing a resume, you need to adhere to a particular format. Yet still, you should avoid passive voice, clichés and overused words. Otherwise, your resume will become too regular. So, try to be more creative but don’t go overboard. Poor grammar is the main characteristic feature of lots of job applicants. Nevertheless, if you don’t care about this aspect, get ready that your resume will be rejected. So, if this job position really matters for you, always double-check your resume before you send it. Maybe it would be better to give it to a trusted colleague to look at it. If you don’t have anyone around, defer to accomplished resume writing services that will proofread it. You don’t check the information you include in a resume. Nevertheless, this is crucially important because if you exaggerate about your skills and experience, sooner or later an employer will check this information and more likely that you’ll be dismissed. You list the duties you performed at the previous job. There is no point in enumerating all your responsibilities at the previous job. It is much better to indicate your actual achievements or even outcomes that resulted from your previous job. Besides, writing about your experience try to be more specific. You aren’t specific to the company. It means that before applying you need to check the requirements of a job recruiter. So, look through all keywords they indicated in the announcement, check their website, blog and social media profiles. This information will be very useful for you and will allow you to compose the resume according to the needs of this particular company. You write about the irrelevant experience. Check whether you provide the relevant information in a resume. In some instances, employers require a definite resume format. 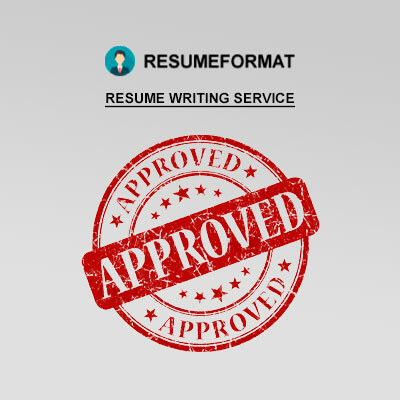 If you have no idea what resume format is required then the best idea will be to send it in a PDF format. In this case, your resume won’t change regardless of the fact what operating system is used. In some instances, job applicants consider that paid experience is much better than unpaid. If you have a volunteering experience or anything you are proud of, don’t forget to include this into your resume. It may happen that this particular experience will influence the decision of an employer and you’ll get the job you want. You don’t show your personality. Here is a category of people, who still consider showing who they are in a resume is unprofessional. Nevertheless, some types of employers really look for the information like this. You create only one resume. It is not rationally to craft only one resume and use it for different purposes only because of the fact that a startup resume differs from IBM. We hope that our pieces of advice and analysis of the most common mistakes will definitely help you achieve the goal. Yet still, if you consider that the assistance of experienced resume writers is indispensable for you, welcome to ResumeFormat2015. Our service specializes in creating resumes for students or those individuals who seek employment because they want to find another job.